A Missouri jury Thursday ordered Johnson & Johnson to pay $4.69 billion to 22 women who claim asbestos in the company’s talc products caused them to develop ovarian cancer. It is the largest verdict to date the consumer goods giant has faced in an asbestos-talc case. The Circuit Court of the City of St. Louis handed down $550 million in compensatory damages and $4.14 billion in punitive damages in the verdict, averaging about $25 million apiece for the 22 plaintiffs. 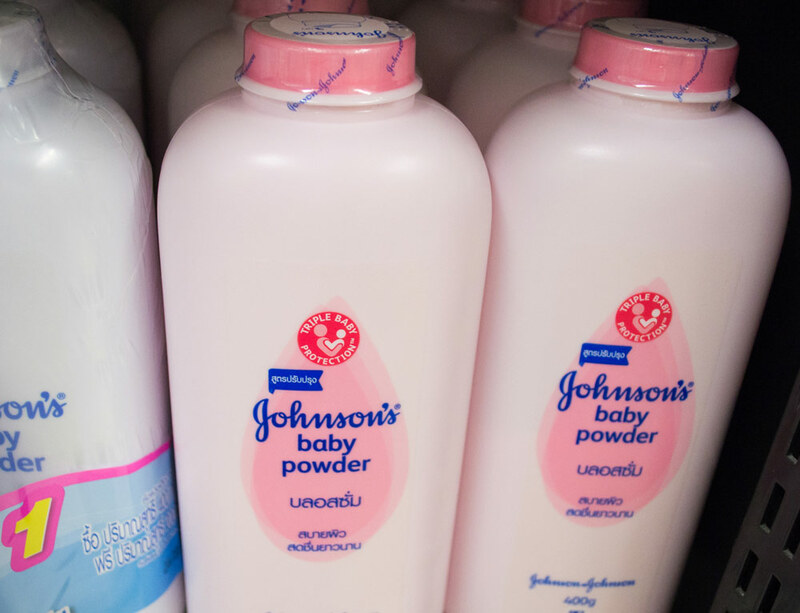 J&J currently faces roughly 9,000 cases that blame its talc products — including the company’s iconic Johnson’s Baby Powder — for causing cancer. Most of the cases are related to ovarian cancer, but J&J has recently been hit with several verdicts linking its products to mesothelioma, a rare cancer caused almost exclusively by exposure to asbestos. The company said in a statement it plans to appeal the $4.69 billion verdict and that it stands by the safety of its products. Find out how asbestos finds its way into cosmetic products. Johnson & Johnson has found success in appellate courts in cases linking ovarian cancer to its talc products, including a $72 million verdict in Missouri and a $417 million decision in California. The company is actively working to overturn four other verdicts, including this week’s ruling in Missouri. What sets the recent Missouri trial apart from the others is it alleges asbestos fibers in J&J talc products caused ovarian cancer. The other ovarian-cancer verdicts blame the talc itself for causing cancer. In 2012, the International Agency for Research on Cancer (IARC) confirmed asbestos causes four types of cancer, including ovarian cancer. Other agencies, including the U.S. Department of Health and Human Services and the World Health Organization have yet to confirm this link. Need Legal Information About Mesothelioma? Get your free legal mesothelioma guide and learn about your rights. Johnson & Johnson hasn’t been as successful in appealing verdicts in mesothelioma cases, which claim asbestos-contaminated talcum powder led to the rare cancer. The latest mesothelioma-talc verdict came in May, when a Los Angeles Superior Court awarded $25.7 million to Joanne Anderson, who said she developed mesothelioma after being exposed to asbestos-laced baby powder. J&J’s first loss in an asbestos-related talc lawsuit came in April, when a New Jersey jury ruled in favor of Stephen Lanzo III and his wife. J&J and talc supplier Imerys SA was ordered to pay $117 million in total damages. A case in South Carolina ended in mistrial the same week as the Anderson verdict. Jurors couldn’t reach a unanimous decision in the case of Bertila Boyd-Bostic, who was diagnosed with pericardial mesothelioma age 30 and died 15 months later. That case, now led by Bostic’s husband, is planned for retrial, but no date has been set. Reuters. (2018, July 12). J&J shares drop after Jury orders company to pay nearly $4.7 billion in Missouri asbestos cancer case.